Where Are New iPhone Users Coming From? A coworker brought this issue into focus for me. He was complaining about all the hype about the new iPhone 5. He does not see that it as all that much better than the iPhone 4S. He has an iPhone 4S and sees no reason to upgrade. My take is that the hype is not about how great the iPhone 5 is, but how popular it is and how many millions will be sold. We've already heard that the iPhone 5 sold out online. This helped raise Apple's stock price, creating more hype and interest. All this news - plus the few honest improvements - are creating a huge media frenzy. If the iPhone 5 isn't a revolution, who are these new buyers? 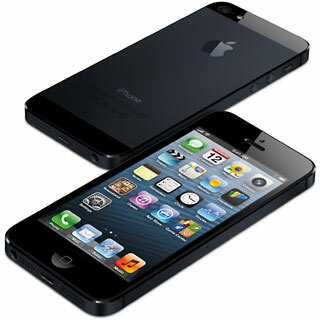 There will be a few iPhone 4S owners who have to switch to the latest. This group will be small. Buyer's remorse over the 4S is not large. These owners will be happy to upgrade to iOS 6 and keeping going with their existing iPhones. The next largest group will be those with older iPhones, especially those whose two-year contracts are up. They are already with AT&T or Verizon. They are used to paying for a phone-and-data plan. They may just as well have the latest device. It is a one-time purchase, and it is less than their total two-year contract will cost. You are kind of missing out if you don't upgrade. AT&T and Verizon have already built into their pricing the cost of one iPhone over the life of your contract. You have to pay the same price for service whether you upgrade or not, so why pass up a subsidy for a brand new iPhone? None of these are new iPhone users, and we know that the product is still growing. Where are the new customers coming from? There has to be two basic groups of new users. Those who are starting fresh. They are switching from a plain phone or maybe a feature phone that has text. This group has been convinced by the marketing or sold on the idea based on advice from friends. This group is going to be shrinking every year. The most important new buyer will be Android users. * This group has already accepted the financial cost of a phone-and-data plan. They've experienced the benefits of apps, checking email, and surfing the Internet from their phones. If the experience has been good but not great, or if they see the iPhone as a little nicer, they become a ripe group for Apple to pick off. The iPhone does not have to be revolutionary - or even great. - it just has to be better than what they already have. When their contract is up or when the newest phone comes out, they have of choice. They can stick with okay but not perfect or switch to the most hyped and talked about phone in the world. For now, the choice clearly favors the iPhone. The newest model, regardless of how revolutionary it is from the previous one, will be perceived as the best possible choice for at least the next six months. After six months or so, people will start holding out, waiting for the next iPhone.